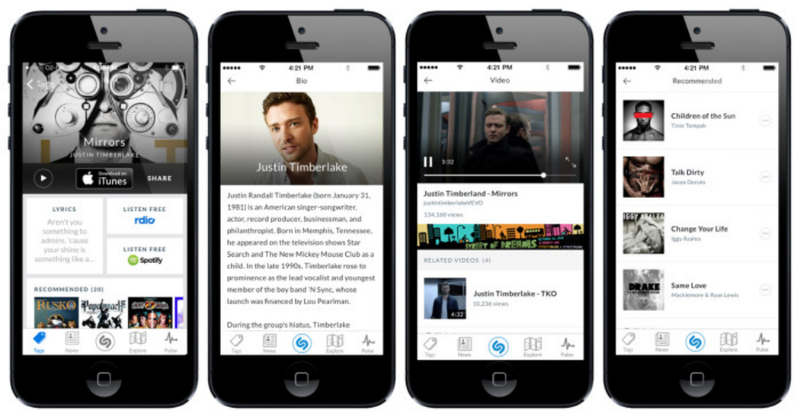 If you’ve ever had the urge to identify which song or TV show you’re watching, you’ve probably come across Shazam. The popular media recognition service has received a major update for both iOS and Android, bringing a refreshed user interface and many other extras. The most prominent thing about the update is easily the cleaner look. We’ll be seeing easier and cleaner access to results, allowing you to preview, buy, and share songs or TV shows in an easy manner. Additional improvements include being shown lyrics and related videos as soon as a song is matched, many kinds of information related to TV shows, and an overall more engaging experience. More engaging biographies and discographies, making it easy to go from discovering a great track to learning about and experiencing more from the band. The update has already rolled out to iOS users of both the regular and Encore versions of Shazam, and Android will be seeing the improvements as well in the coming weeks. If you can’t wait to receive the update though, the Android test group is seeing a sneak peek of the new look.